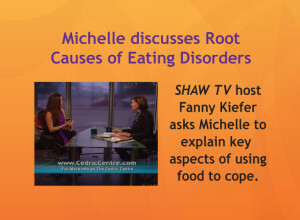 Eating Disorder Awareness Week, UK, 2013 runs from Feb. 11th to 17th Eating Disorder Awareness Week, USA, 2013 runs from Feb. 24th to March 2nd Eating Disorder Awareness Week, Canada, 2013 was Feb. 3rd to 9th Welcome our Media Room. 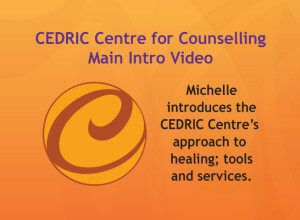 Here is the CEDRIC_Centre_for_ Counselling_Media_Kit. 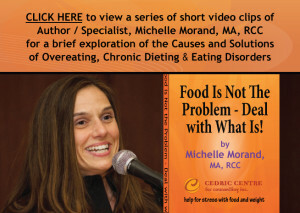 After 20 years specializing in helping people overcome stress with food and weight, Michelle Morand, MA, RCC has become a seasoned communicator in a variety of media and has developed a wealth of resources, some of which we are happy to share with the media in order the get the message out to people, that they can overcome their stressful relationship with food, with knowledge and tools. 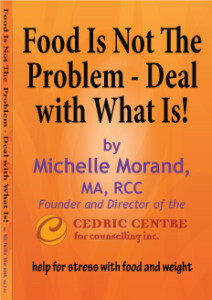 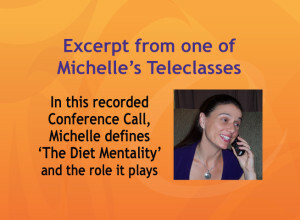 Michelle wrote the book: ‘Food Is Not The Problem – Deal With What Is!’ which has helped thousands of men and women, of all ages and sizes to find more peace and freedom with food. 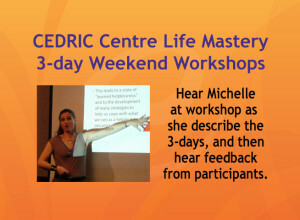 The CEDRIC Blog contains 10 years woorth of featured articles by Michelle, on various steps and aspects to lasting recovery with new articles showing up all the time in our Bi-Weekly Newsletter. 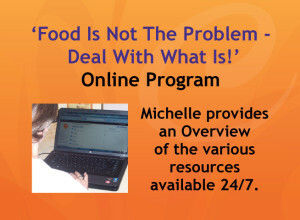 Review Michelle’s archived articles and PowerPoint Presentation for quotes, statistics, underlying reasons for all kinds of eating disorders, and other less than healthy ways to cope, tips for recovery, and more: Natural_Eating_PPT_Presentation Please take advantage of Michelle’s free articles, audio and video clips. 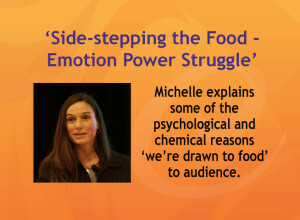 If you would like a clip from Michelle’s video presentation of ‘Side-stepping the Food Emotion Power Struggle’, let us know which section you are interested in. 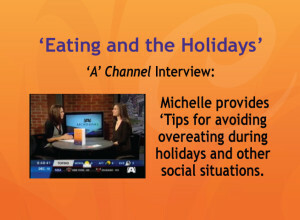 We’re providing a download of the video free to the Media, upon request, and emailing certain clips. 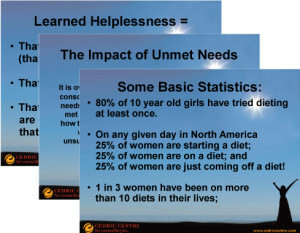 See 2 samples below. 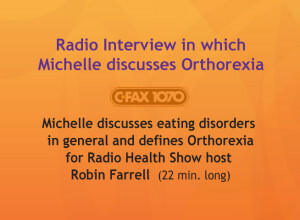 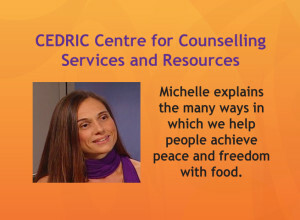 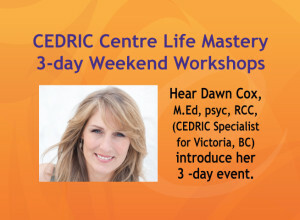 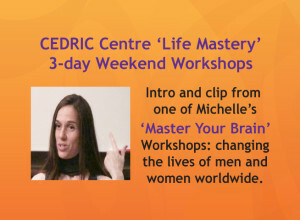 Watch the video clips listed below, or go directly to our video channel: Members of the media who would like written material, audio or video clips, or an interview in some form with Michelle Morand, MA, RCC, on various aspects of Eating Disorders, are welcome to email us at info@cedriccentre.com, or call 250-383-0797 , or toll free: 866-383-0797, or contact Michelle directly at mmorand@cedriccentre.com or 778-990-4606. 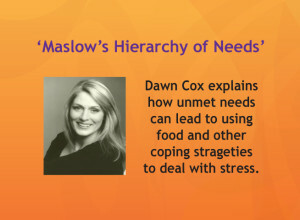 See the following videos on various aspects of stress with food, whether overeating or restricting.